It’s that special time of year for moms so we’re celebrating Mother’s Day with an awesome Caption This Contest hosted by Star Kids and Best in Baby Biz Magazine! We know moms are everyday heroes who do so much for their families and it’s time for us to give back and celebrate all moms! ONE LUCKY WINNER will receive a grand prize package of 46 prizes! The giveaway will run to Wednesday, May 13th. Submit your creative caption for this photo in the Rafflecopter below for your chance to win big! Winner receives a $150 gift card for a massage at a location near the winner. Best in Baby Biz (& Kids!) Magazine has three annual issues that are distributed to consumers, retailers, baby industry professionals, media outlets and more! All of the brands featured in BIBB Magazine offer the most innovative products for baby, kids, mom and family. Winner receives a Victoria Emerson wrap bracelet and $50 VISA Gift Card. This mask is magnetic in more ways than one. The most unique mask you’ve ever experienced literally pulls dirt and oils away from your skin. What’s more shocking is the ultra-moisturized skin you’ll be rewarded with. Trust us; you’ll be irresistibly drawn to this mask. Perfectly Posh offers all natural cruelty-free pampering spa products – perfect for posh moms! With everything under $25, Perfectly Posh offer solutions for all your health and beauty needs. Independent Consultant, Carrie Rickett, will be giving away a special gift bag including: SCRUMPTIOUS SUNSHINE SKINDELICIOUS BODY BUTTER, THE ‘IT’ GIRL BIG FAT YUMMY HAND CRÉME, LUXE FOR LIFE LIP BALM, and SEAS THE DAY CHUNK. VentureMom is for you to find a venture for yourself, to shop for cool products and services created by VentureMoms and to promote your VentureMom business – all here on the VentureMom site. Are you a VentureMom or do you want to become a VentureMom? If so, this site is for you. And if you like cool products and services, you’re in the right place. Adriana’s Healthy Secrets is here to inspireYOU, educateYOU, scultpYOU into being your best self. To convinceYOU that the goal is to become more of who you really are. To embraceYOUR life in a healthy, beautiful and happy way. Osmo is a unique gaming accessory for the iPad that comes with games and will change the way your child plays. Reflector and Stand – Simply attach the included reflector and stand to your iPad. Osmo works with all iPads, including the iPad Mini and iPad 2. Masterpiece – Supercharge your drawing skills with Masterpiece! Pick any image from the camera, curated gallery, or integrated web search and Masterpiece will transform it into easy-to-follow lines and help you draw it to perfection. Tangram Arrange tangible puzzle pieces into matching on-screen shapes. Play with a friend or challenge yourself to more advanced levels as your handy-work lights up with each victory. Newton Use your creative noggin and inventive objects like a hand-drawn basket, grandma’s glasses, dad’s keys, or anything around you to guide falling on-screen balls into targeted zones. At Cossettie, our mission is to help keep little ones clean through innovative and affordable baby gear that is easy to carry around, use and wash. Our award winning products are compact and lightweight; allowing them to easily fit into diapers bags and even purses too. We want to make life simple for parents on the go through well thought out product designs, tested by moms and dads. Our Compact Shopping Cart & High Chair Cover is a 2-in-1 lightweight cover that tucks into its own small attached bag making it easy to fit in your diaper bag or purse! Through carefully curated monthly activities, Surprise Ride aims to foster creativity in kids and expand their horizons. With a little hands-on learning and a lot of fun, we help kids exercise that special power of creative genius that empowers them to be tomorrow’s innovators. We work with experts to curate a monthly adventure for kids ages 6-11. Activities are a surprise and center around a theme like art, geography, outer space, food, and more! There’s no better way for kids to learn than by doing. There’s no better time than when they’re young and absorbing experiences like a sponge. Packable Pails are collapsible beach pails that collapse to under two inches tall making travel easy. They come in four fun colors. They are made from BPA free plastic and food grade silicone. Use them at the beach,sandbox,in the snow, in the garden, and much more. Little Ashkim provides parents with a new choice in towels and clothing for babies and young children. Our company was designed around our primary customers – the babies and children that use our towels and wear our clothing. Each Little Ashkim product is designed to fulfill their practical needs with comfort and luxury. This adorable slogan bodysuit is made of the softest 100% cotton interlock material for the comfort of your baby. The charming design will turn heads to your little cutie and to check out mommy. Genesis 950 is a green, surfactant based cleaner that works with water to break the bonds of stains and lift them from the surface. Rather than attack stains with harsh toxins and chemicals, it alters the molecular structure of a stain to lift it. Once a stain has been lifted, it can be rinsed from the surface. Olie teething necklaces are safe teething products that allow moms to easily entertain and soothe their babies with emerging teeth. Olie teething necklaces are intended for adults to wear. Please do not place the necklaces on your child. Olie teething necklaces are completely BPA, PVC, phthalate, lead, cadmium, and heavy metal free, made with 100% food grade silicone. As more studies come out each year revealing the hidden hazards in our baby products, parents need to be proactive about finding the safest products for their kids. Pacific Baby World makes it easy by providing safe, innovative and practical products for baby. They are the only infant feeding company making bamboo as a priority material for baby – with a full feeding line including feeding and weaning bowls, cups, plates, and spoons. If you are hunting for organic cotton baby bedding that has it all, you’re in the right place. Designed by a mom and created with love for chic, safety-conscious parents, Babee Talk crib bedding, crib rail covers and plush toys combine the softest materials and rigorous safety checks with strikingly beautiful design. Oubly is your stationery and print source for any occasion or event that requires quality invitations, announcements, address labels, or other fine paper goods. Oubly offers a wide selection of beautifully designed and crafted stationery items for the occasions that call for connection and celebration between you, your friends, and family. Prize is a $40 gift code to Oubly.com. Spoil yourself, or someone special, with our Pamper Box. It contains everything you need to soothe, calm and relax after a long day…..without any harmful chemicals. Our Pamper Box contains full-sized products: Body Butter, Body Scrub, Aromatic Bath Salt, Bath & Massage Oil, Bath Milk and Hand Cream. Also get an additional Invigorate Bath Salt for Free with each Pamper Box.Our products are certified by the Natural Product Association. Pack ‘n Potty is a stylish, lightweight tote that transforms in seconds into a sanitary toilet seat cover which is attached to a stable potty seat sized for a child. When placed over any standard toilet seat, Pack n’ Potty provides a stable sitting area for a child with a full barrier from toilet surfaces; making potty time stress-free for the child and caregiver. Another feature is a unique wet/dry pocket to store items, such as, wipes, change of clothes, or other items needed for a potty training toddler or young child. Made of antimicrobial and waterproof materials, Pack ‘n Potty is machine washable in hot water and dryer safe, Pack ‘n Potty makes potty time a breeze for busy families’ on-the-go. Wishy Life Buddies: The Original Easter Tradition provides families with an interactive tradition for the Easter season. Children will bring their ‘Buddy’ to life by naming him and sprinkling him with Wishy Dust. For a week leading up to Easter Sunday the child will leave out an empty Easter egg in hopes their ‘Buddy’ will fill it with a something special (note/scripture, money, candy, gum, etc). ‘Buddy will have to leave on Easter Sunday but promises to return the following Easter season to continue to look after his new family and friends. Winner receives a $20 gift certificate to the Double Blessings store. Soft, absorbent and reusable, the Blowout Blocker acts as a diaper extension to contain up-the-back diaper blowouts for fast, easy and stress free cleanup. Stay protected from blowouts while at home, on the go and every adventure in between. Perfect for airplane trips, car rides, trips to the store, special events, picture day or every day! Soft, absorbent and reusable, the Soaker Stopper acts as a diaper extension to absorb leaks that escape from the front and sides of the diaper, keeping baby and bedding dry. It is made of entirely breathable fabrics and has an adjustable waist to keep baby comfortable. The Soaker Stopper is intended for nighttime use to prevent waking up to a soaking wet baby! Sand Gone is a dry powder that when applied to sandy parts of your body removes the sand leaving your skin soft and smooth. All natural ingredients with a coconut fragrance. A must for beachgoers or after playing in the sand. Making Spirits Bright publishes children’s books with timeless messages that empower our youth! Start empowering your baby to live an extraordinary life by modeling positive character traits. This book reminds us that an infant can begin exhibiting acts of kindness well before they are walking and talking. The Swanling® Slumber Swan™ is the perfect gift for both boys and girls. The Swanling® Swan is made from the softest materials and will soon become your child’s best friend. The small and medium size swans are equipped with a gentle and soothing rattle, all of the swans have child safe eyes. The Swanling® Slumber Swan™ is also made to attach to the Slumber Sleeper™, a 3-in-1 safe sleep solution. It is a mattress protector, fitted sheet and sleep sack all in one. It is designed to help keep your baby safe, warm and centered. Although the sheet allows older children to move freely and change sleep positions, the Slumber Sleeper™ unique design helps facilitate back sleeping and helps keep baby centered while in the crib, two important components of safe sleep for babies, and you get the added benefit of easily keeping an eye on them without adjusting your baby monitor frequently. PeapodMats are simply amazing and versatile waterproof mats that are unlike any conventional waterproof mat or cover on the market today! PeapodMats are designed to protect the bed from all sorts of fluids. The big difference? PeapodMats lie flat ON TOP of sheets with a grippy material underneath (WITHOUT flaps, wings, straps or velcro) which means NO more tucking, bunching, or moving. PeapodMats are comfortable and soft to sleep on with no “plastic crinkle” sound or “cold vinyl” feel. PeapodMats are focused on the toddler and schooler age group as they progress through potty training and bedwetting. Baby Bump Bundle is an online shop that features hand-picked products and gift bundles for the mom-to-be, newborn babies and nursing moms. The bundles are curated in bundles for mom-to-be by trimester, nursing moms & babies and you can even build your own bundles if you see certain products you want to gift. My blog is all for mamas to keep sane. Everything from products, book review, giveaways and life rambles. The adventures of being a mother of six kids. I do reviews, giveaways, recipes, crafts, and tips. Family friendly, kids, product reviews, giveaways, food, crafts, DIY etc. Mommy Knows What’s Best is a family and parenting site that features parenting advice and tips along with reviews and giveaways. By sharing what works best for my family, I hope to help make your parenting life a breeze! Capturing The Moment is dedicated to sharing parenting advice, promoting companies through reviews and amazing giveaways and just being an all around fun blog! At Blissful Baby® our mission is to unite communities with family-based resources near and far. We pride ourselves in providing individualized attention whether you are Adopting, Try to Conceive, Expecting or are a Parent. Mommy Prep Classes will provide with you with answers to all your questions. We are here for You and Your Blissful Baby®. Trying to save you time, money and sanity!!!! I am dedicated to bringing my fans honest, informative and top quality content. I love to share recipes, crafts, reviews on our favorite products and travel info on the places our family loves to visit in Georgia! My name is Kathy and I’m the owner of Kathy’s Savings. 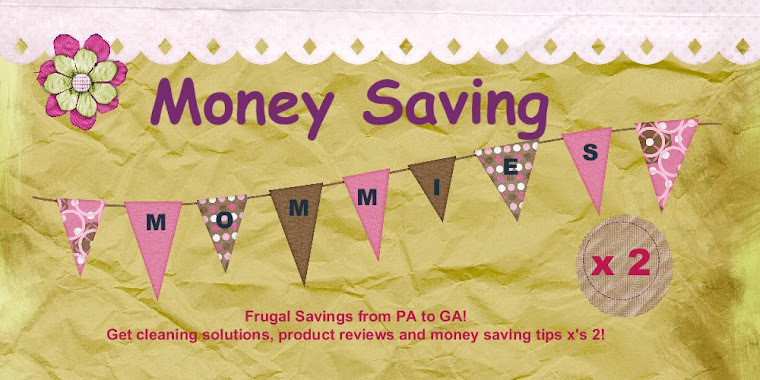 I love to blog about savings, deals, giveaways, reviews, recipes, traveling and so much more. I have been blogging since early December 2012 and I love every moment of it. I share product reviews food, beauty, clothing, household products and ways of saving money on products. I love working with new and upcoming companies and products. I am a wife and a mother to two beautiful girls. One is almost 21 and my other one is 9. I have been with my husband for about 23 years. A simple living resource site providing simple crafts, recipes, DIY Projects and more. 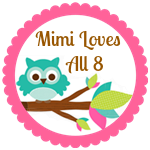 Visit my blog for fun giveaways and honest product reviews. This promotion is in no way sponsored, endorsed or administered by, or associated with, Facebook. We hereby release Facebook of any liability. Winner(s) will be contacted by email 48 hours after the giveaway ends. If you have any additional questions – feel free to send an email to Giselle Diaz at giselle@socialmedia22.com. Star Kids Products is not liable for any of the products given away.